Gilles Deleuze’s intriguing concept of the dark precursor refers to intensive processes of energetic flows passing between fields of different potentials. Fleetingly used in Difference and Repetition, it remained underexplored in Deleuze’s subsequent work. 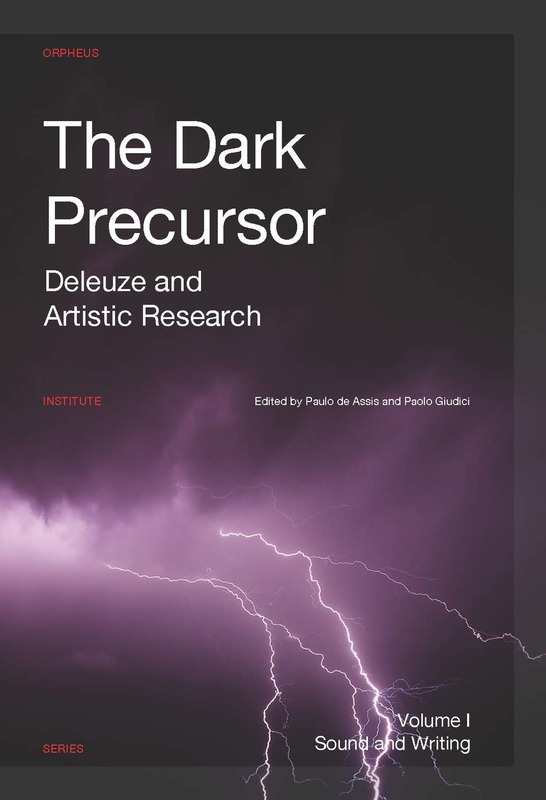 In this collection of essays numerous contributors offer perspectives on Deleuze’s concept of the dark precursor as it affects artistic research, providing a wide-ranging panorama on the intersection between music, art, philosophy, and scholarship. The forty-eight chapters in this publication present a kaleidoscopic view of different fields of knowledge and artistic practices, exposing for the first time the diversity and richness of a world situated between artistic research and the philosophy of Gilles Deleuze and Félix Guattari. Within different understandings of artistic research, the authors—composers, architects, performers, philosophers, sculptors, film-makers, painters, writers, and activists—map practices and invent concepts, contributing to a creative expansion of horizons, materials, and methodologies. Heterogeneity of Word and Image: What is the Possible Dark Precursor? Paolo Giudici is an artist-researcher living and working in Padua and an Associate Researcher at the Orpheus Institute, Ghent.